We’re no strangers to sun in Las Vegas, which is why we at Prestige Roofing know that rain isn’t the only weather that can damage your roof. Most people only think of leaky roofs or shingles torn off by wind, but ultraviolet (UV) light, thermal shock, and constant exposure to grit and sand can do just as much damage. August isn’t over yet, and while the hottest days of the summer are behind us, we still have another two months of 100 degrees or more. All that heat comes from sunlight, and sunlight means UV radiation. 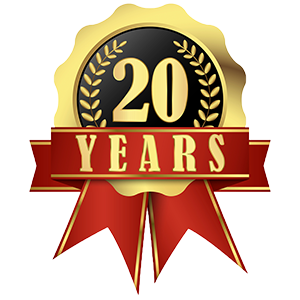 Ultraviolet light and hot weather speeds up the deterioration of roofing materials and sealing agents (asphalt, tar, etc.). The typical black shingle roof gets up to 160 degrees on a 100 degree day! With all that heat, roof materials experience what we call “thermal shock,” expanding and contracting as they grow hotter or colder during the day. After many years of experiencing thermal shock on a daily basis, roof owners will notice their drains or gutters no longer line up with the edge of the roof, splitting along seems, or warping in shingles or tiles. Many Las Vegas homeowners leave their roofs in neglect due to the common misconception that damage only comes from relatively rare rainfall. Neglect can be the most damaging factor of all, and can lead to severe problems when nasty weather does indeed hit. 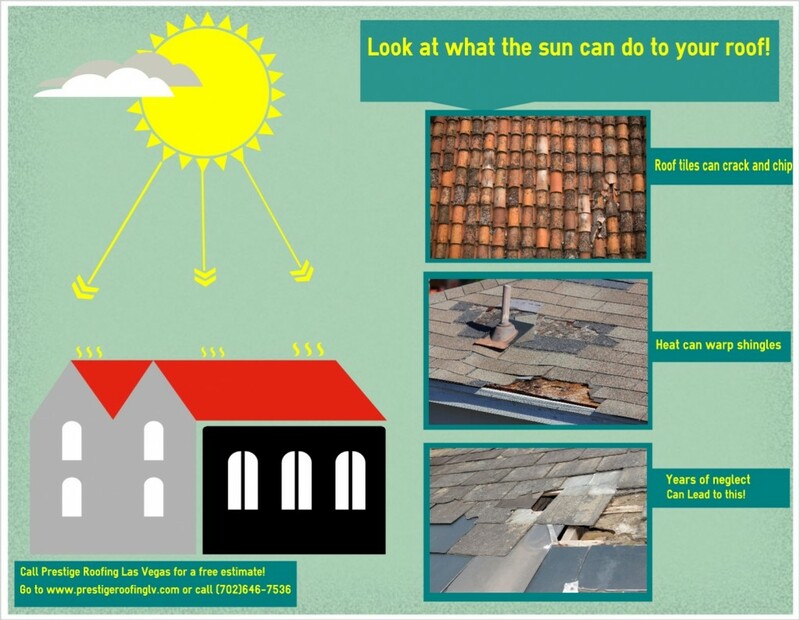 Our infographic below highlights what can happen when your roof is left to bake in the sun, and the result of poor maintenance. Don’t leave your roofing to the elements, call Prestige Roofing Las Vegas for roof repair at (702)646-7536 or visit www.prestigeroofinglv.com for a free estimate.